Ferrari’s current mid-engined V8 sports car, the 488, doesn’t yet have an amped-up version like the 348 GT Competizione, 360 Challenge Stradale, the F430 Scuderia and the 458 Speciale that preceded it. And this latest teaser video definitely shows... something. All the caption says is, “New thrills are about to come.” And the video doesn’t show much through its obnoxious use of fast cuts and closeups, but there’s definitely a road car in there. 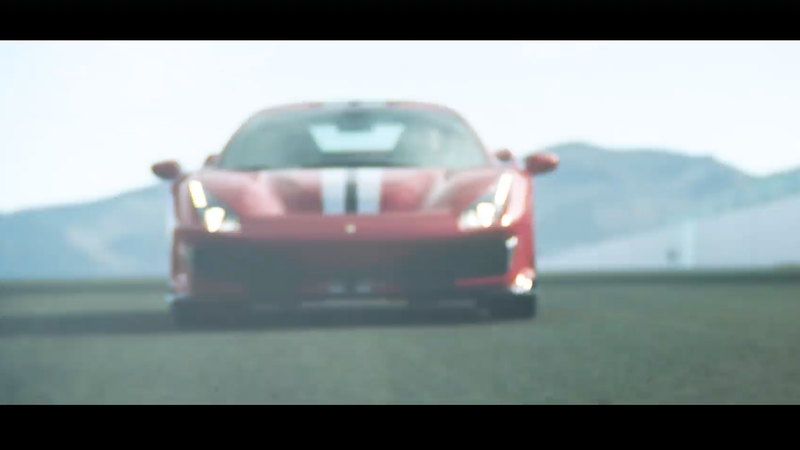 The screengrab above shows what appears to be a puffed up version of the 488. We first heard rumors (and saw a photo) of the 488 GTO last month, which included talk of a 700-horsepower V8. Ferrari has neither confirmed nor denied the use of the GTO moniker, however. Anyway, we’ll know for sure what this thing is and what it’ll be called at the 2018 Geneva Motor Show next month.